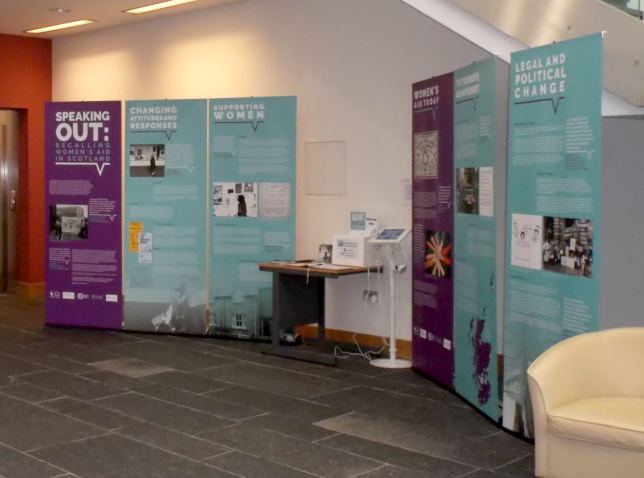 Part of the Speaking Out exhibition on display in the Highland Archive Centre, 2016. 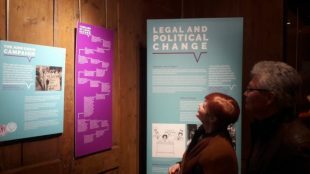 The Speaking Out exhibition showcases the 40+ year history of Women’s Aid in Scotland. Featuring clips from oral history interviews captured by the project, visual material from the archives, and information gathered by the project, the exhibition tells the story of the movement in the words of the women involved with it. 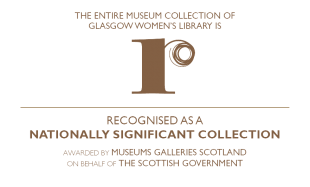 The exhibition travelled to eight locations across Scotland as part of the Speaking Out project, and was seen by over 44,000 people. The exhibition is available to borrow from Scottish Women’s Aid – please get in touch to find out how. 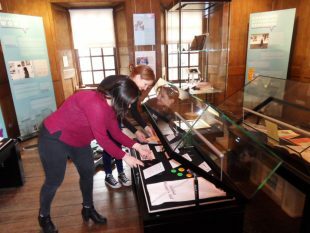 The exhibition was curated by a team of Speaking Out staff and project volunteers. If you would like more information about the Speaking Out project, please contact Scottish Women’s Aid.